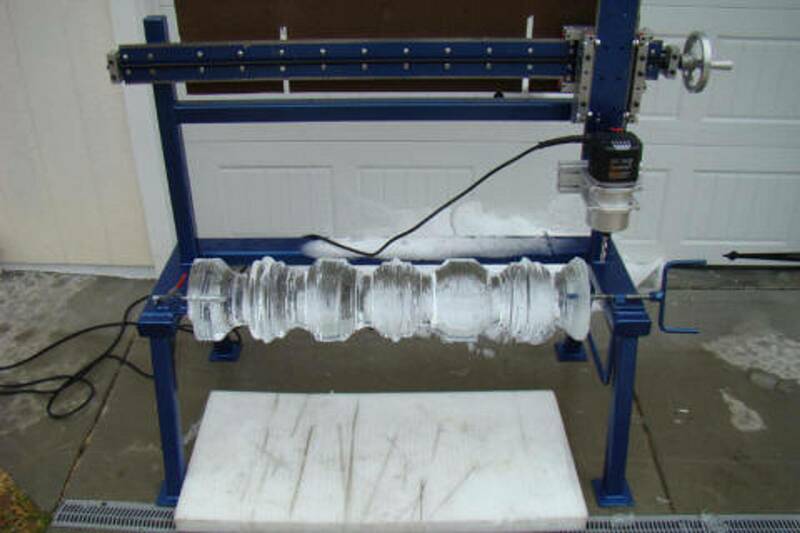 The Ice Carve Pro CNC ™ Machines and Lathes are the brainchild of Robert Sparks,(Sparky), formally of Sparky's Ice Sculptures. Sparky has over 20 years of ice carving experience and is a retired Army Veteran. With his background and dedication Sparky created the first production Ice Carve Pro 5000™ and sold it to Glenn Hughes in 2011. I will say that I have been honored to own the first commercial machine. With over 2000 hours of service the machine is still in service and going strong. Robert Sparks approached me in October of 2014 and asked me if I would take over the production of the machines and the customer service of the machines already on the market. With over 20 machines already produced and being used in some of the best ice sculpting companies in the world I promise to keep the level of service and quality of machinery up to the standards that Sparky set forth. I have already been covering service as a standby for the last 3 years while Robert Sparks was out of the country competing in culinary competitions or just on vacation. The transition of ownership has been very well conducted with Sparky continuing to tutor K & Z Ice Carvings in all aspects of the machinery. For the best ice carving CNC machine on the market we encourage you to look over the overviews of each machine using the tabs above. I look forward to answering any questions you may have about the Ice Carve Pro CNC™ machinery.